Three stone engagement rings are nothing new but since Meghan Markle showed the world her blingy beauty, three stone engagement rings are all the rage again. 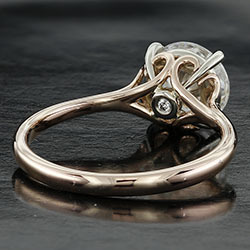 Naturally symbolizing the past, present and future, they also cast a well-rounded look appeal. 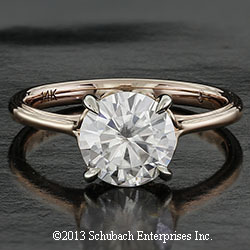 Different than a solitaire, where one gem “steals” the attention, a three stone provides a more encapsulating visual treat. When you custom design a three stone engagement ring, the sky’s the limit. But generally a three stone consists of a large center stone and two small stones, on either side. 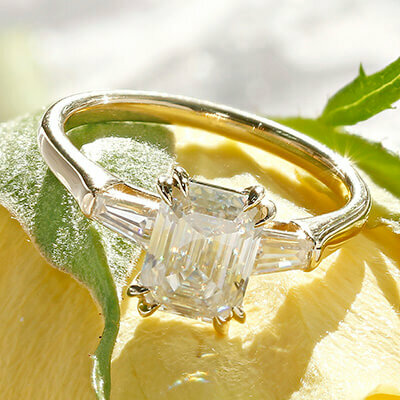 A Schubach Exclusive, the Manhattan three stone emerald cut engagement ring with baguette side stones (approx 3/8ct t.w.) and a surprise rose cut diamond. We took two random stones that were in our office and shot this video. The standard moissanite is labeled #1 while the Forever Brilliant moissanite is labeled #2. The Forever Brilliant moissanite is clearly several shades whiter than the standard moissanite. 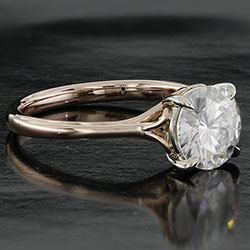 New OEC Moissanite Is Here! 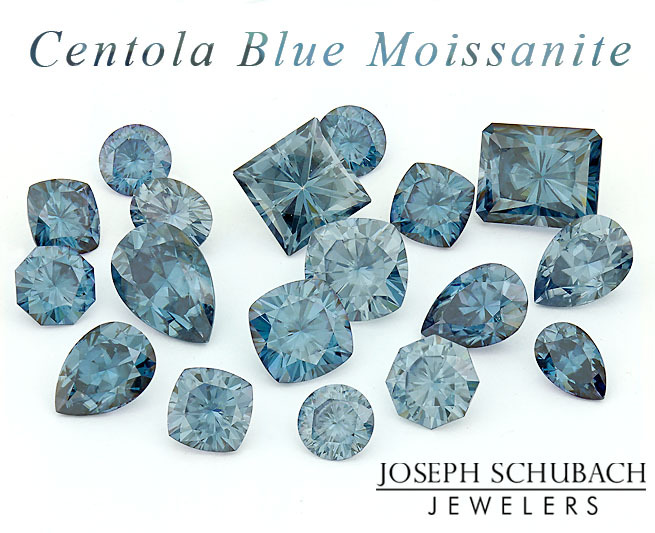 The new OEC (old European cut, or old English cut) moissanite stones are in and they’re gorgeous! Call for availability.